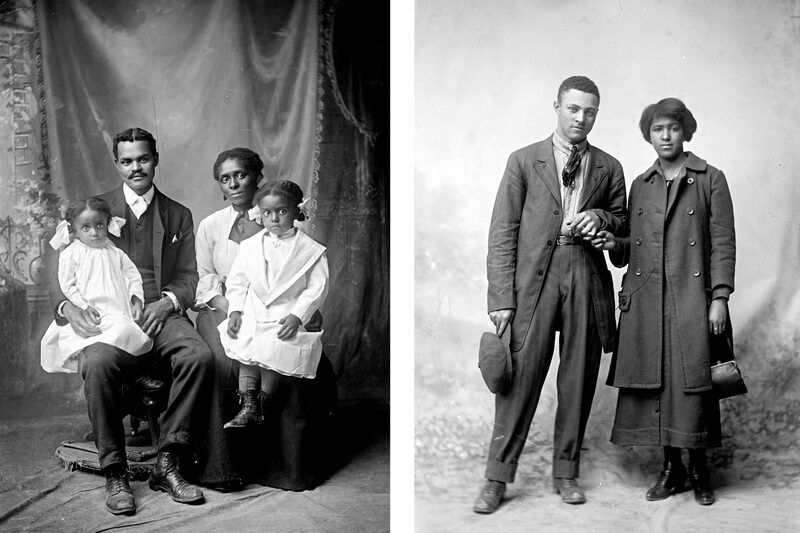 Twentieth-century photographer Rufus Holsinger took more than 500 portraits of local African-Americans. His photos took center stage at a Family Photo Day in March, and will feature in a new display around the Memorial to Enslaved Laborers site. At the turn of the 20th century, photographer Rufus W. Holsinger trained his lens on Charlottesville, capturing both daily life and seminal moments such as the burning of the Rotunda in 1895. 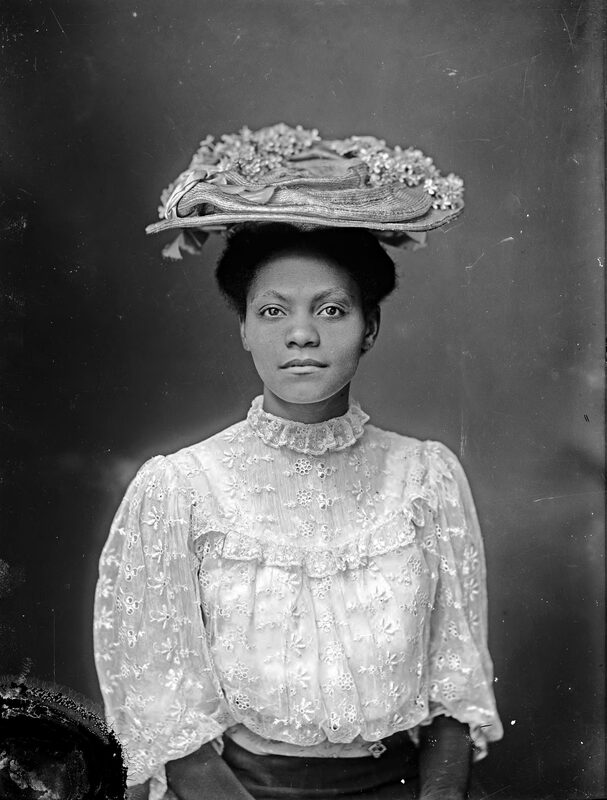 Holsinger, who moved to Charlottesville in the 1880s and lived here until his death in 1930, also took thousands of portraits, including approximately 500 portraits of African-American residents in Charlottesville and the surrounding area. The images, held in the University of Virginia’s Albert and Shirley Small Special Collections Library, show men like Dr. George Ferguson, the first African-American physician to settle in the area. His son, George Jr., pictured as a little boy, went on to lead the local NAACP chapter when it sued the city to desegregate schools in 1955. There are portraits of men and women, friends and business partners, husbands and wives, and families at every stage of life. Taken together, they highlight a rarely seen slice of local history that UVA history professor John Edwin Mason hopes to study and celebrate anew this year. An unidentified family and Henry MacMahan with an unidentified woman, in 1916. Rufus W. Holsinger Photo. The Albert and Shirley Small Special Collections Library, University of Virginia. Mason, working with the UVA Institute for Advanced Technology in the Humanities director and computer science professor Worthy Martin and several others from UVA, Monticello and Charlottesville, are planning a series of events and exhibitions to highlight Holsinger’s images – some of which have been exhibited before, and others being shown for the first time. In February, they were awarded an Arts & Sciences Diversity and Inclusion grant to fund outdoor displays of the portraits in and around Charlottesville. Their plans include a display on the construction fencing around the Memorial to Enslaved Laborers, which broke ground in January. The location – east of the Rotunda between the Lawn and the Corner – ensures that scores of students, faculty and staff will walk past the photos on their way to class and work. Mason and Martin are also eager to bring the photos into the larger Charlottesville community, and to bring community members into their analysis. On Saturday March 9, they hosted a “Family Photo Day” at the Jefferson African American Heritage Center. There, local residents could review photos in the collection and identify or provide more information about family and community members they recognize. A professional photographer was on hand to take new family portraits in Holsinger’s style, and residents could bring in their own historic photos for authentication. Large as the University’s collection is, it only represents about half of Holsinger’s total output, and does not contain images captured before 1912, when his studio burned down. Some of those earlier images could be tucked away in homes, attics and basements throughout Charlottesville. Already, Mason has received emails about a few photos, including at least one that was taken by Holsinger and passed down through a local family. Holsinger’s distinctive style makes his portraits recognizable even today. They are typically posed in his studio, often featuring props or outfits that the subjects chose themselves. Those choices, Martin said, offer some insight into people’s individual interests and personalities. “They are so evocative, it really feels like someone is reaching through the camera to tell you who they are, and how they want to project themselves, as opposed to how they might have been viewed on the streets of Charlottesville,” Martin said. Martin and Mason hope the photos will remind viewers that African-American communities at the University and in Charlottesville have a rich, complex and often untold history. Image at top: Bill Hurley, 1909. Rufus W. Holsinger Photo. The Albert and Shirley Small Special Collections Library, University of Virginia.